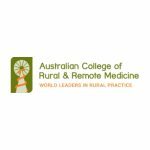 The Australian College of Rural and Remote Medicine (ACRRM) is a member based-based organisation that strives to set, maintain and promote high quality professional standards for Rural and Remote Medicine. ACRRM is seeking an expert and personable administrator for the role of Assessment Officer. In this role, you will provide exemplary service to doctors who are being interviewed on behalf of the Australian Medical Council or who are working towards their Fellowship of the College. The Assessment Officer is primarily responsible for the planning, administration and coordination of a broad array of interviews, assessments and events. A small amount of travel and or weekend work (approx. 2 – 3 weekends a year) may be required. Time in lieu and a great working environment are part of the package. This is an opportunity for a mature, articulate, solutions focused and collaborative individual to work in a dynamic and focused team. The successful candidate will be able to demonstrate exceptional customer service through recent workplace examples, evidence of highly developed and accurate administrative skills, and a track record of initiative to work through complex information whilst meeting competing deadlines. The preferred candidate will also be able to demonstrate excellent written and oral communication skills as well as high levels of proficiency in Microsoft Word and Excel. Evidence of the initiative to learn and develop new skills will be highly regarded. He/she will be a motivated individual and respectful team player who consistently strives to achieve on-time organisational goals. He/she will also be highly self-aware, an excellent self-manager, responsive to feedback and be able to work effectively in an open plan office environment. This full-time appointment is based in Brisbane CBD. ACRRM values its employees and offers generous remuneration and flexible working arrangements. To apply for this role, please provide a covering letter that outlines how your current skills, experience and personal attributes align to this role and the listed candidate criteria. Please include details/ examples of recent achievements that demonstrate your ability to be successful in this role. Applications without a cover letter addressing these points will not be considered. Please also include your resume with contact details of two recent managers/ supervisors as referees.